The other night I was watching TV with my boyfriend, PET (those are his initials, and no, he doesn’t like it when I call him my pet). We started watching an episode of The Best Thing I Ever Ate on the Cooking Channel, and the episode was dedicated to regional dishes. PET got so excited that his home state of Rhode Island was being represented by their wieners (don’t call them hot dogs, Rhode Islanders don’t like that). My home state of Massachusetts was represented by the Boston Cream Pie. 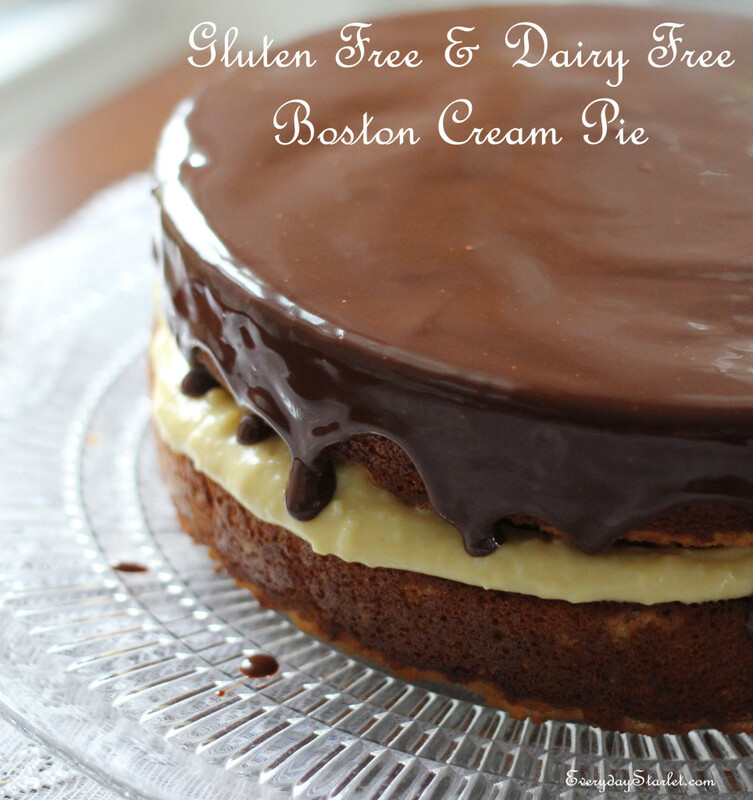 Now Boston Cream Pie is not a pie, it’s a cake…and before you go judging, just remember that New England is buried in snow and ice most of the year so we’re a little cuckoo around these parts. 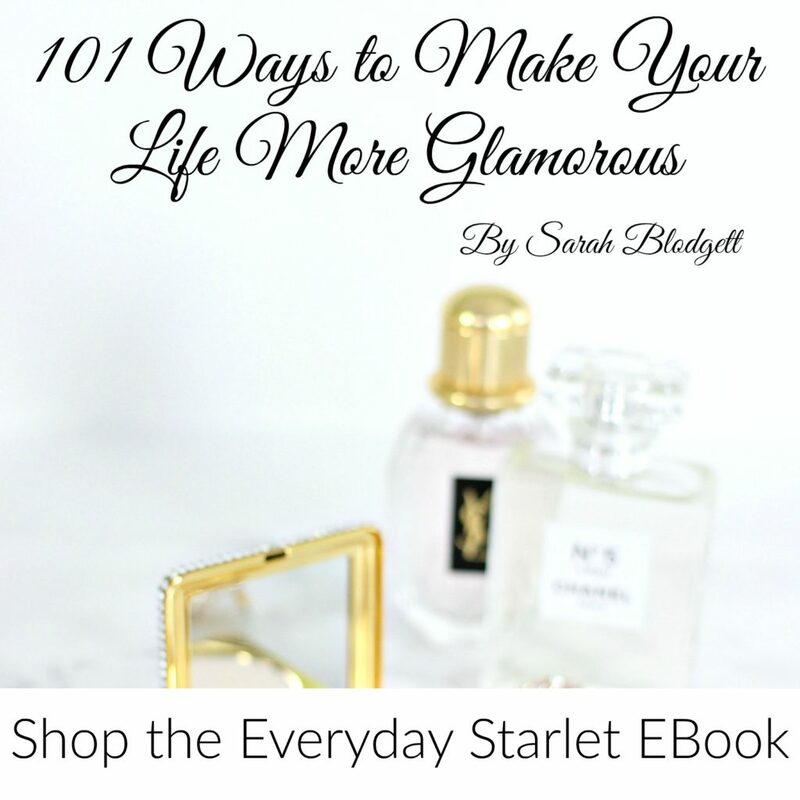 Typically it’s two white cakes with a custard in between and a chocolate ganache or frosting on top… so I guess you could say it’s more of a sandwich than a pie…. 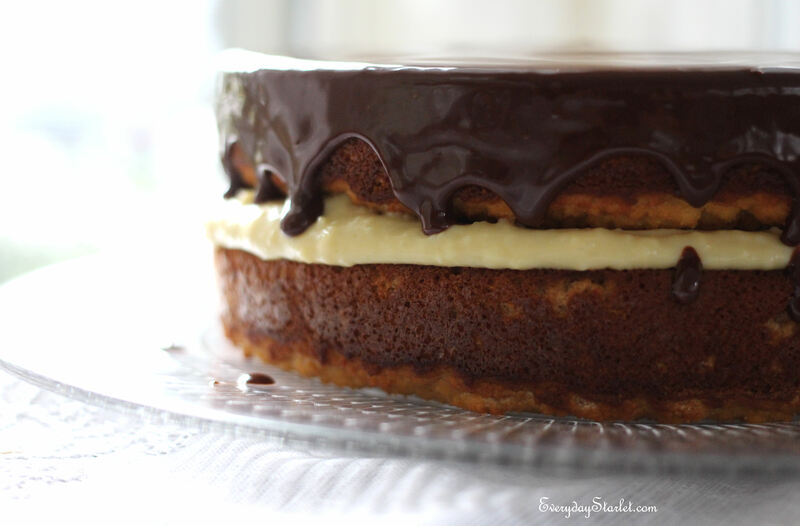 maybe we should call it a Boston Cream Cake Sandwich? Anyway, PET suggested I make one, so I set off on a quest to make my own version.